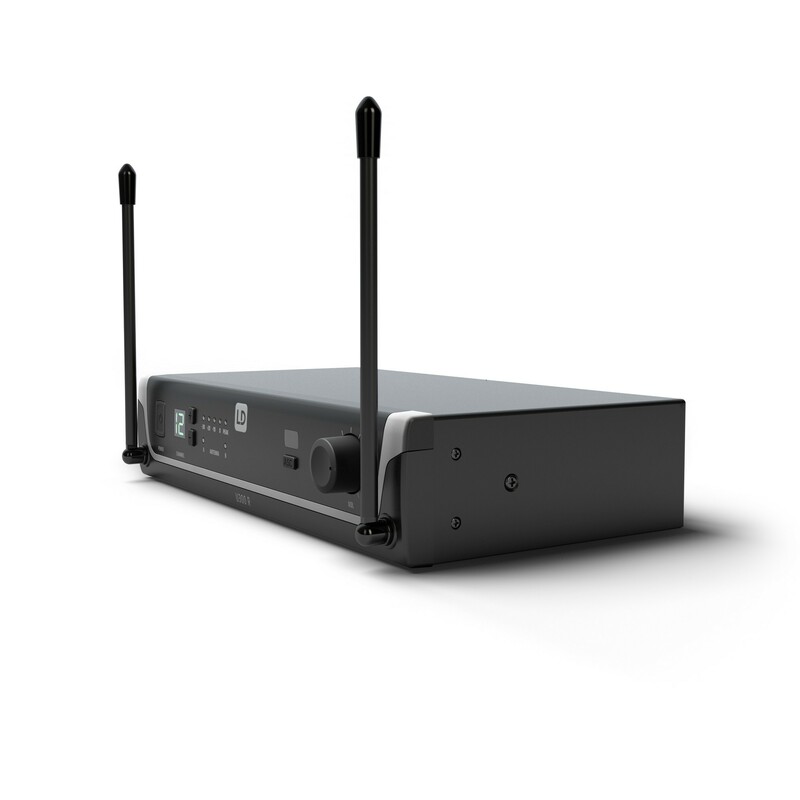 Operating in the 470 - 490 MHz band, this U300® Series diversity UHF receiver features FM technology, 12 channels and a 25 Hz - 16 KHz frequency response. 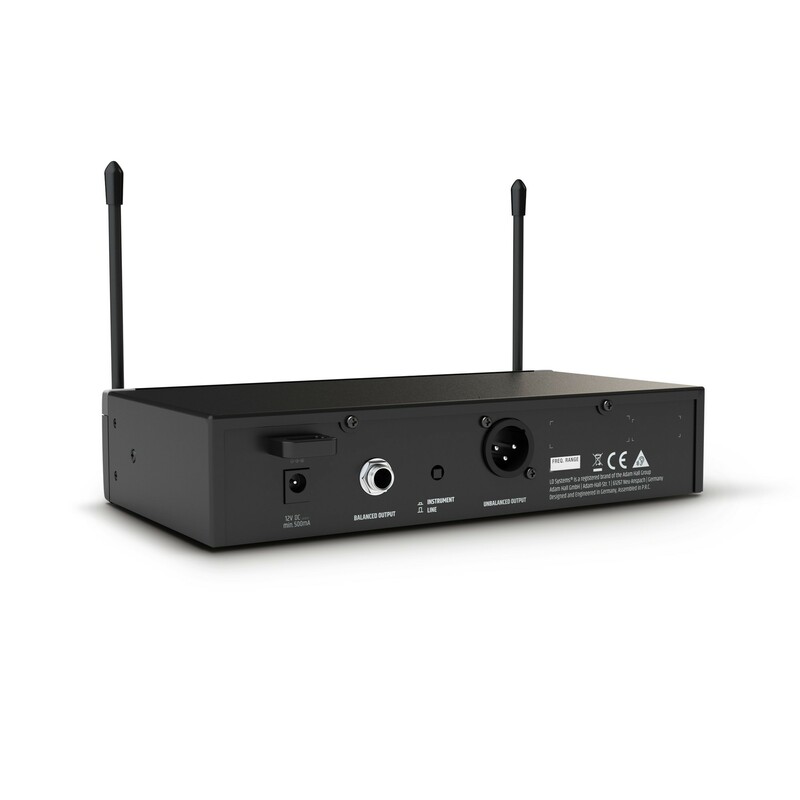 It provides convenient one-touch IR syncing with the series' microphone or bodypack transmitters for quick and trouble-free setup while a pilot tone squelch circuit prevents noise and interference. 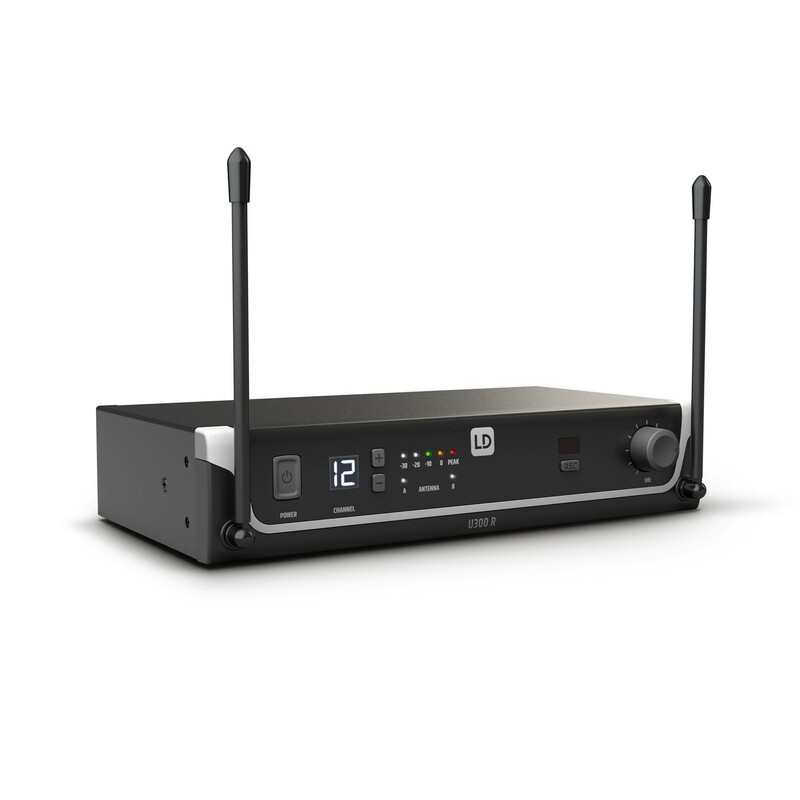 The U3047 receiver comes in a stylish metal housing sporting a bright LCD channel display, up and down channel selector buttons plus LED audio level and antenna indicators. 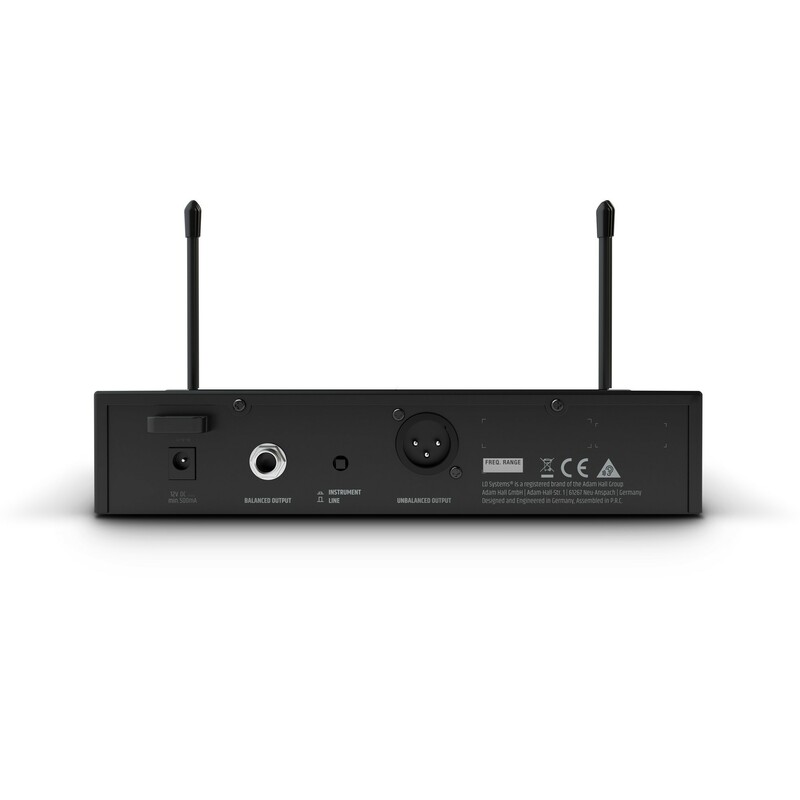 The rear panel provides balanced XLR and unbalanced 1/4" outputs. For use with guitar and bass amplifiers, the unbalanced output is switchable to instrument level. 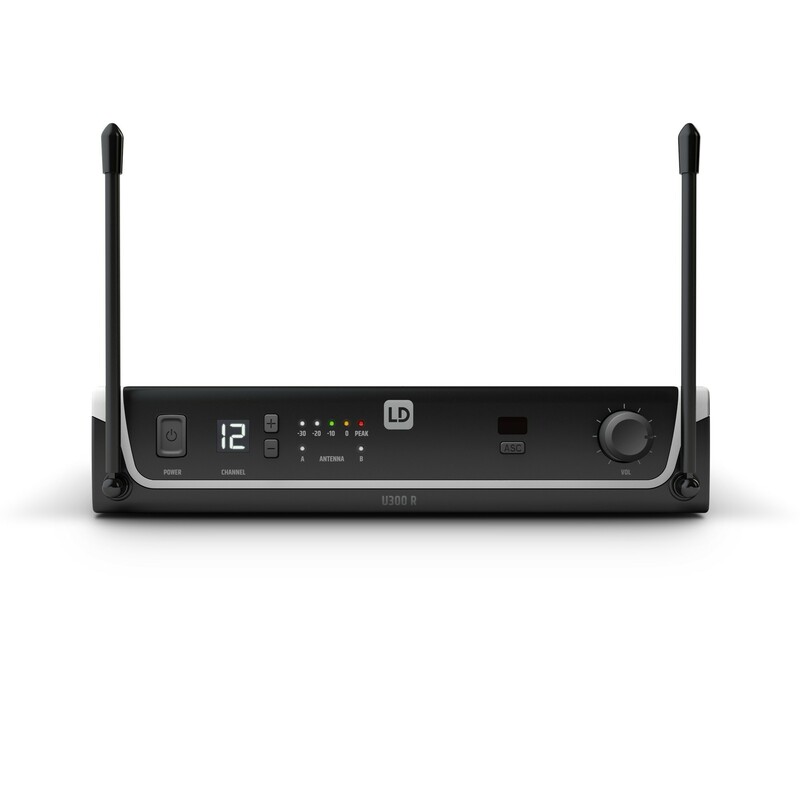 The receiver package includes a power adapter and balanced XLR audio cable.